Linda and The Punch are a young English band with a firm foot in modern rock music with an ear tuned to the long tradition of AOR melodic rock. Linda has a strong clean voice with some range, and may remind of something between Pat Benatar and Robin Beck, maybe with a touch of Carrie Underwood. Linda and The Punch: will knock you out. For the music of Obsession, while the context is definitely melodic rock, the songs offer some variety with Linda's voice at the forefront. There's some essential rockers within including the opener What A Shame with a crisp punk edge, Looking Out For Number One and, perhaps the heaviest song here, Kill The Lights, with a strong groove bolstered by some tough riffs. Tight riffs and Linda's voice also propel Nothing of Anything, the former giving it a heavy edge, her voice lifting the lyrics and melody above the fray. Other songs rock with a different tone. Cold Cold World and Welcome to London dial things back a bit, offering more catchy AOR accessibility. They're bright songs with memorable melodies and choruses. That AOR melodic rock style also informs both Wake Up Dreaming of You and Lost For Words, the two songs closest to ballads. The first has a milder, lighter, feeling, the second uses the the lighter start to build to a more rock crescendo. Finally, Linda and The Punch attempt of cover of the Patti Smith classic anthem Because The Night. While the original was rather straight forward rock, the band takes a heavier, even slower, approach for their version. Linda's voice gets the passion of Smith, but at times she's seems more intent on being precise, other times, she simply sounds heavy-handed. Nevertheless, like most classic songs, it's hard to beat the original song and singer. Fundamentally, the greater strengths of this album are the other songs and Linda's dynamic vocal style. Call Linda and The Punch a band to watch. Recommended. 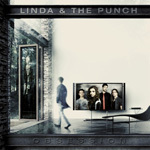 Strong songs and Linda's dynamic and melodic vocal style make Linda and The Punch's Obsession a strong and entertaining album of AOR melodic rock.